U.S. company eBay, which occupies a leading position in the global market of online trading, acquired Card.io, a developer of innovative technology for scanning of plastic cards in the camera, a mobile device. About the incident reported in the merger blog owned payment system PayPal, controlled eBay. The company is building a comprehensive development agenda of this segment of the market, as online payments, with the help of technology Card.io. Card.io technology enables scanning of a bank plastic card with a mobile device camera and considerably easier to enter the necessary data to the user performing a financial transaction. This startup was launched in 2011 and immediately caused a strong interest of many investors in the U.S.. He received from the U.S. venture capital funds of $ 1 million just last year. According to representatives of the company PayPal, possibilities of new technology Card.io will be used to upgrade an existing system PayPal Here, the purpose of which – online payments as a simplified scheme for the global development of online trading. 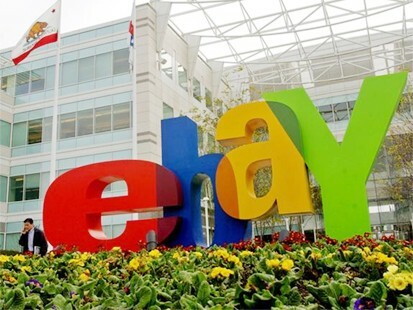 In the near future, when eBay will fully operate on the Russian market, the opportunity provided by the new features, and will benefit Russian consumers when making online payments. Recently in Russia quite regularly, the different services and functional, designed to simplify online payments and payments made with credit cards. Less than 2 months ago, in May, Privat tested mobile payment terminal for devices running on Android. The other day took the baton “Bank24.ru” and made the shop owners offer to replace the conventional payment terminals to mobile. On this background, we should expect the global growth opportunities of mobile payments. However, this is what experts predict Fast Lane Ventures and Forrester Research.